Last week in an article about various forms of travel blogs I mentioned that the most popular was the travel journal which are often written by travelers posting a blurb or two about where they are, what they’re doing, and who they’re with. I wrote that “nobody cares about these unless they are the writer’s friends and family.” Boy did I get some criticism for that! Quite a few readers commented on the post and twitter that they in fact, love those types of blogs. The most popular reason was that readers want an unbiased view from an actual traveler instead of a PR-fluffed piece or even info from a guidebook. While I can admit when I’m wrong, I think many people took my opinion out of context or maybe we just weren’t on the same page. I still find hundreds of blogs about travel with little value because the writer isn’t focusing on their audience. In all honesty, I’m sure I am somewhat guilty of this as I used to jot down my trip reports as if they were happening to me then and there and never worried about who was going to read them. Actually, I never expected anybody to read them. Now that this site has a decent readership, for better or for worse, quite a few people read my old trip reports. If you are writing a travel blog, publishing your trip reports, or doing any type of writing about your journeys, you want to take a step back and consider your audience. Are you writing to keep your friends and family updated on your whereabouts? Are you hoping the public will come out of nowhere to read your blog? Maybe you want other travelers to use your experience as a springboard for their own journeys. These are all things that should affect your travel blog. If your family is the sole reader of your blog, you don’t have much to worry about. Keep them informed and you’re doing your job. If your audience is bigger than that, you have more things to consider. First of all, your writing needs to be clean. It doesn’t have to be perfect, but attempt to at least use proper grammar, punctuation, and capitalization. Nothing takes away from your writing than when it’s plagued with errors. Also, it doesn’t need to be that colorful. I remember when teachers would force students to consult the thesaurus on every writing assignment. That helped build basic vocabulary skills and a bit of style when you were in junior high, but by this point, you should know enough adjectives to describe a person, place, or event from your travels without an abundance of colorful adjectives that some readers won’t even be familiar with. Remember that you aren’t a public relations department. You’re simply sharing your experiences with other people. You don’t have to say that everything was perfect. Nearly every one of my travel experiences has included some type of negative experience. Not every place smells like roses, looks like paradise, or is filled with heaven-sent people. That’s reality and there is no sense in hiding it. I have to admit, I don’t consider myself a great writer so I’m trying to stay away from simply handing out writing advice. There are far better people who can do that. Instead, I want to explain what I look for when reading travel blogs and what I feel makes one stand out from the rest. If it weren’t for reading Rolf Potts‘ compilation book of travel stories, Marco Polo Didn’t Go There: Stories and Revelations from One Decade as a Postmodern Travel Writer, I wouldn’t have been exposed to the travel narrative which has given me a new sense of writing. As simply as I can explain, the travel narrative is a story created around your travel experience. It’s not a list of what happened where and when, but instead a piece of non-fiction utilizing characters and experiences from your travels and turning them into a stylized story. Often the characters become the centerpiece of the tale and form a personal connection between the reader and the story. Travel narratives are just another option for publishing your travels and can appeal to readers whether they are interested in your location or not, whereas a standard journal entry likely only interested people already considering the location. One thing I hadn’t previously considered was uniqueness, or niche travel blogging. You hear a lot about niche blogging but not necessarily related to travel. I received several messages from people who pointed out that the main appeal to their blogs were the fact that their travels were rather unique. Heading to places like Myanmar or racing bicycles in Africa, Canada’s Adventure Couple’s blog really stands out. Certainly, heading somewhere unique or even insane (Iraq anybody?) 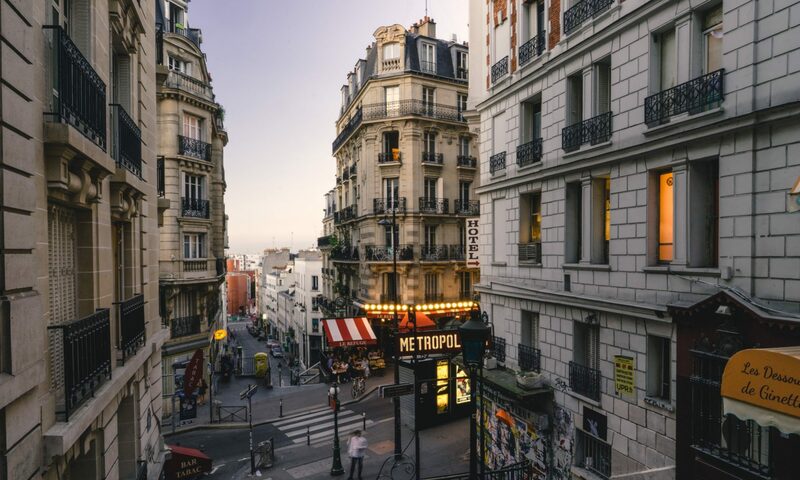 not only sets you apart from the thousands of blogs about Paris or London but your blog’s traffic will certainly benefit from being one of the few places for information on these places as well. If you have. or are planning on starting a travel blog, I hope these ideas have you thinking a bit. If you have your own travel blog please feel free to share it by posting a link in the comments. With blogs becoming increasingly simple to set up and run, the amount of travel blogs online has become simply overwhelming. Starting one yourself can be a good idea, or it could be a huge waste of your time. This is the first of two articles on the subject running your own travel blog. First of all, there are several different types of travel blogs out there. Which one are you going to set up? The travel journal is by far the most popular type of travel blog out there. Travelers set up a blog, typically on a free blog hosting site such as WordPress or Blogspot, and chronicle their travels with writing and photography. Let’s be honest. Typically, nobody cares about these unless they are the writer’s friends and family. And that’s OK. They’re usually who they are set up for anyway. When traveling for any extended period of time, you find yourself with not enough time in the day to sit and email every single person you know so setting up a free travel blog is an easy way to keep everybody notified of your whereabouts, experiences, and most importantly, safety. What the potential writer must realize though is that hardly anybody outside of their social circle gives a darn about their blog. That’s not to say they shouldn’t spend time working on it, but they need to know their audience. I spent years writing about many of my travels only to notice that not a single person whom I didn’t already know in person would take the time to care about my experiences. A few days ago I emailed a friend who is spending several months traveling through South America and told him that I was following his blog. He responded that he wasn’t much of a blogger but that wasn’t the point of his blog. It was a place for his friends and family to keep in touch and follow along while he enjoys this amazing experience. Some travel blogs out there focus on all the news happening in the world of travel. The writer follows what is going on around the world and links to it, occasionally offering an opinion or perspective on the topic. It’s hard for these types of blogs to gain a significant readership since news is already so easy to find. Chances are that they aren’t the only person linking and writing about these topics so the content is duplicated all over the ‘net making far from unique. While it may seem like I’m pointing out the negative about all of these so far, it doesn’t mean that I am against them by any means. That is, until now. Some travel blogs are simply online advertising billboards overflowing with advertisements disguised as news or other forms of travel blogging. These types of sites are about one thing: making money. They’ll promote tour packages, resorts and hotels, flight deals, etc. It’s rare that anything they publish is actually useful or a good deal. Take what they say with a grain of salt and do your own research about anything you find on their sites that might be interested in. Lately I’ve seen a few of these sites (and their twitter counterparts) advertising “amazing” hotel rates to places like Hawaii. Several of the ones I checked out had hotel rates at $300 a night. Maybe these are a significant discount over their normal advertised rates but that is hardly what I would consider a good deal. They’re all hype. Finally, my favorite type of travel blog! I am biased, of course, seeing as I write and publish Have Pack, Will Travel which I feel is becoming a great source of information on independent and budget travel. Not to toot my own horn or anything, so I’ll also use The Expeditioner as an example. 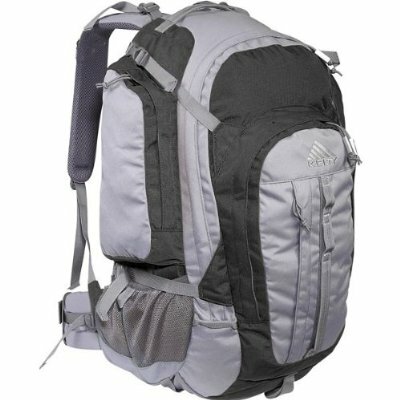 I found Matt Stabile’s wonderful site after he linked to my 10 Must Have Items for the Independent Traveler list. These types of travel blogs attempt to provide plenty of useful information for their readers. Occasionally they’ll feature travel stories, but most often you’ll find How To articles with the focus on helping out other travelers with information they may not have had, or simply overlooked. So what kind of travel blog is yours? It’s probably worth your while to consider these types of blogs before you get started. The good thing about starting a blog is that it has become extremely easy to set up. There are countless ways to start your own for free with places like WordPress and Blogspot. If you are going to communicate any type of professional tone though, these may not be the best options as it’s difficult for most people to take a free blog seriously. If all you are doing is keeping a travel journal though, they are a quick and easy. It’s not much more difficult if you want to set up your own dot com domain name and run your blog that way, although it’s not free. You’ll need to buy your own domain name and hosting service from a company like GoDaddy or xEdgeHosting (yes, that’s my small, personally run company and this is the first time I’ve felt it appropriate to suggest it). There are TONS of hosting companies out there so feel free to do your own research. WordPress.Org will help you get the software installed in about 5 minutes or often, the hosting company offers a way to install it with only one click. Yes, you can, but that doesn’t mean you will. Whatever you do, don’t start your blog thinking you will be making money with advertising because it’s extremely difficult to do. I have a few ads set up here and while I won’t get into specifics, I will say that they make very little money. I (and you should as well) do this because I love it, not because I’m looking to strike it rich. Sounds Easy. I’ll Start Today! Good! I truly hope you do, but don’t think that all of this is easy. If you are a capable writer, maybe you will have an easy time getting started writing content, but it takes dedication. For a site like this I am constantly writing to keep content fresh and enjoyable. I love it, but it does get difficult sometimes. Blogs that are successful require frequent updates and the ones that go weeks without any new content are obvious signs of the writers lack of dedication.